Maybe you have seen a baby wear an amber teething necklace or you heard about the dangers of them on a news station. Still you aren’t quite sure what the deal is with these necklaces and you would like to find out before going out and buying one for your own baby. This article will give you all the information you need to make an informed decision on amber teething necklaces, with all the pros, cons, types, prices and even a buying guide. So what is an amber teething necklace? Simply put it is an necklace made of amber beads. 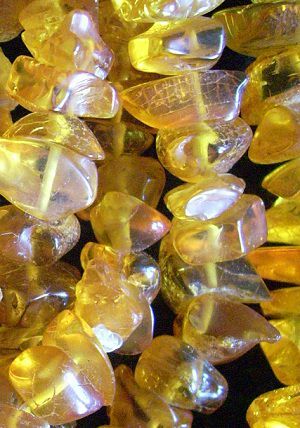 Amber is an organic gemstone that consists of fossilized tree resin. 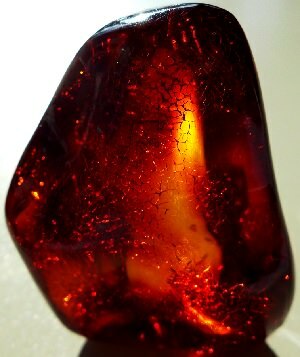 For more information on amber take a look at our article here: Amber: Nature’s Time Capsule. The claims surrounding these necklaces are impressive, they boost the immune system, they reduce teething pain, they have anti-inflammatory properties? and calm the central nervous system. The basis of these claims is that amber contains a high amount of succinic acid. This acid can indeed alleviate pain and was used for just that in the past. However, solid evidence that an amber necklace will have a pain-killing effect just by wearing it cannot be found. Most research points towards the necklaces not working. Normally amber is heated to 200 ℃ to release succinic acid, so skin contact is unlikely to release succinic acid in amounts large enough to have an effect. On the other hand thousands of mothers swear by them and highly recommend it to anyone willing (or even unwilling) to listen. If you are in the middle of a teething nightmare it is certainly worth a shot. Just make sure to read the rest of the article to avoid the dangers associated with these necklaces. Shortly after the resurgence of amber teething necklaces the first alarmist reports of the dangers of these necklaces started showing up in newspapers and on television. The two dangers they focused on was the choking hazard and the risk of strangulation. Amber necklaces consist of small beads, so when the necklace string breaks the beads could come loose. This obviously presents a choking hazard when a small child tries to swallow one of these beads. The strangulation risk comes from the necklace itself. If it gets caught on something there is a possibility that a child can strangle itself. However, what the reports don’t mention is that you can avoid both these hazards. All you have to do is buy a high quality necklace. Instead of some cheap necklace made in Eastern Europe. A high quality necklace will have individually stringed beads. So if the string is broken only a single bead should come loose. On top of that the necklaces are designed to break when it is pulled too tightly, so there is no risk of strangulation. If you are still worried about these risks you can buy a bracelet or anklet designed for teething purposes. These will have no string and no small parts that can be pried loose, while still allowing the amber to come into contact with the skin of your baby. Amber necklaces come in a large variety of shapes and colors. 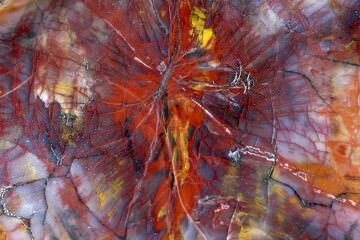 While amber is most commonly associated with yellow and orange, they can also be found in brown, green, black and blue. 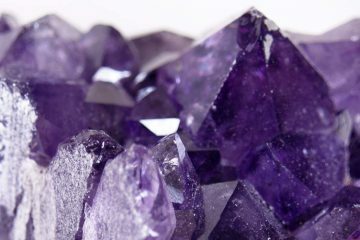 You can buy them as chips, polished beads or even raw depending on your taste. Usually you can only find a’Baltic’amber teething necklace, which does not come in the colors blue and green. Amber in these colors can only found in the Dominican Republic and is more expensive, which is why it is not a popular choice for these necklaces. Luckily amber is one of the cheapest gemstones on the market today, so buying these necklaces won’t cost you a fortune. Most of the more popular choices are just $15 to $25 and should last for years. To make sure you are buying a high quality necklace just follow the simple advice below, or take a look at the most popular amber teething necklace on Amazon. Raw amber and amber chips can have sharp edges, so our advice is to stay away from those and only buy a round bead necklace. Make sure that the beads are individually stringed, so that if the string breaks not all the beads will be flying around the room. 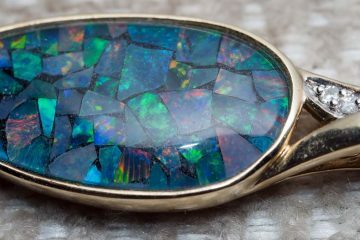 The necklace should not have any metal parts, that includes the clasp. The clasp should be child-proof. The seller guarantees that their amber is genuine Baltic amber. If this is not the case it is likely not amber at all, but a cheap knockoff version like copal or even plastic. Even though there is no scientific proof of these necklaces working, it is still worth a try. A high quality necklace is safe and should only cost you $15-25. 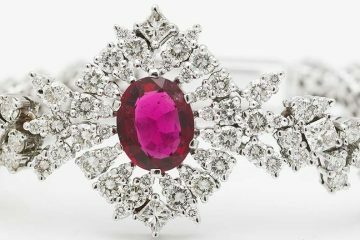 If you don’t notice any difference you’ll simply have a beautiful piece of jewelry you can wear yourself or give it to your child when it is a bit older. Have you ever used an amber teething necklace? Let us know what you think and leave a comment below! Baltic Amber works, my wife purchased a Baby teething necklace for our daughter when she was about 3 months old, she is now 18 months. Our little girl was very fortunate that this worked, we did not deal with any drool or any sleepless nights due to her teeth coming in. The only time we seen any problems due to teething was when our baby sitter took it of for bedtime we did not realize it and went out of town. When she started to become fussy we realized she did not have her necklace on, Her teething pain bothered her so much we had to FedEx it to us in Hawaii. After seeing the drastic results with our daughter I decided to try it out on my arthritic ankle. My wife purchased me an 11.5 inch baby necklace and when I first put it on it was a tight fit but within 3 days it was falling over my foot. I measured it again and it had come to circumference of 9.5 inches. Now with this anklet/baby necklace being to big I gave it to one of my co-workers for his newborn daughter and ordered a new one. It took 5 days for my new 10 inch anklet to br made and in that time my ankle returned to its original swollen state. When I got my new anklet it was hard to pull around my ankle and believe me it was very tight; so tight that I had a pretty serious indentation from it. That night my ankle kept me awake due to the fact it was very itchy but by morning the swelling had come down to the point the anklet was tight but not making any marks. I am happy to say that after 4 days my ankle is now the same size as my other one and the pain had been much more manageable. I have always been a skeptic when it come to holistic remedies but there is no doubt in my mind that Baltic Amber does work and I wish we would have had it for our 3 other kids.